Financial Planning is assuming importance. With a variety of financial products, contingencies of life and awareness about the need for planning all are contributing to the necessity of financial planning. But what are the components of a good financial plan? What are the common mistakes people make? There are various aspects which need some basic understating. Here is a list of 10 common mistakes people make in financial planning. This list will help you to avoid such mistakes. This is the biggest mistake. Make a plan. Plan it with your spouse. Incorporate short term, medium term, and long-term requirements. Allocate funds for high risk, high return instruments, allocate funds for medium risk instruments and allocate also for no risk investments. Allocate for contingencies. Allocate for life and health risk cover. 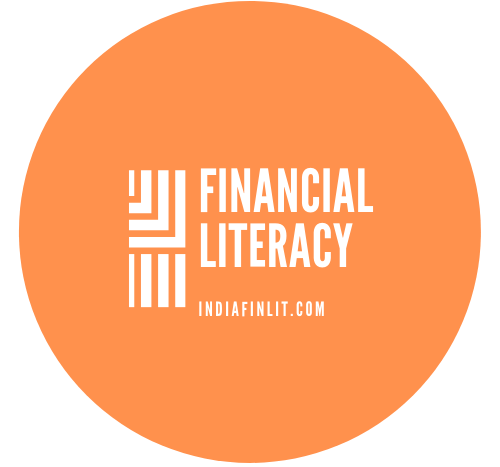 You understand finance but yet you need a financial advisor to understand the nuances of finance and planning. This is dangerous. Some people invest whenever someone approaches them with any financial products/ schemes. Investing without knowing where it fits the plan is the first mistake. Investing without knowing the pros and cons of the product is another mistake. Refrain from tempted investments. Invest as per plans. Starting late is costly. Your target is achieved later. It limits the benefits of cumulative return. Your insurance becomes costly as you age. Start your planning as so as possible. There may be uncertainty about the future but provide for it and plan whatever is possible. Amend your plan to adjust to your new life realities. Amending is better than deferring your planning process. When you fail to plan this happens. You invest only in select products you know about or your friends introduce it to you. Know the financial products, its risk and return profile, its long-term and short-term nature and then incorporate in your plan. The financial planner can help here. Invest in a variety of products but do not diversify too much. Have a fine balance of diversification and concentration. Equity can give a phenomenal return. Everyone talks about equity. It is difficult to resist the temptation to avoid heavy exposure to equity. Buying on tips is another dangerous temptation of equity investing. Invest only as per your portfolio allocation. Invest only in quality stocks. If you do not understand the equity, invest through mutual funds or unit-linked insurance plans. But keep your equity exposure as per your plan. It could be a risky investment. Contingencies and events unexpected are bound to happen. Do plan for it. Certain events like accidents, death, hospitalisation, foreign studies may not look imminent, etc are part of the life. Incorporate these events in your plan to avoid your plan going haywire. You may have a good memory but relying on the memory is not a good practice when it comes to money. Maintain a proper record of all your investments. Out of mind is out of sight similarly out of the record is out of mind. Maintain and update the records periodically. Many do not consider making a Will a part of their financial planning. However, this is one of the basic and important aspects of financial planning. Communicating your plan with your family members is critical. Lack of communication sometimes could be costly. In the event your sudden death or severe injury, if your close family members know the plan, they are less stressed about the finances. Financial planning mistakes could be costly as financial planning actually deals with the money. Fail to plan, the inadequate plan, and unwarranted deviation in the plan all are mistakes one should avoid. These are the common mistakes people do when it comes to financial planning. Make a plan and avoid these mistakes. Share your views. ‹ PreviousWhy is it Fundamental for You to Know Your Networth?